Mang Willy, a resident of Sitio Monicayo, recalled his experience as he walked from a well uphill, with his bucket of water, enough only for cooking. 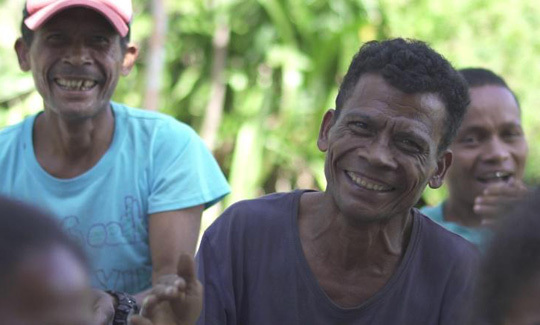 After spending hours lining up among his neighbors to fetch a bucket of water, Mang Willy wiped his sweat as he dreamt of having a better life with access to basic needs such as water. Meanwhile, Ate Ruby, another resident of the Sitio, shared how children in her area were unable to practice proper hygiene and sanitation because of a remote water source, thus exposing them to communicable diseases all year round. Sitio Monicayo is a neighborhood of an Aeta community situated in Mabalacat, Pampanga. 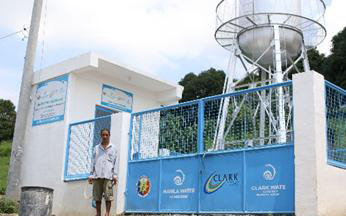 In 2016, Manila Water Foundation, in partnership with Clark Development Corporation and Clark Water, built a stand-alone water facility in the Sitio to provide water access to its 200 families. For the project’s sustainability, Sitio Monicayo has been chosen as a pilot community for MWF’s Integrated WASH Program—a holistic intervention of WASH services, intended to serve a community through water and sanitation access, while transferring knowledge on resource management and educating the community about hygiene and sanitation practices. 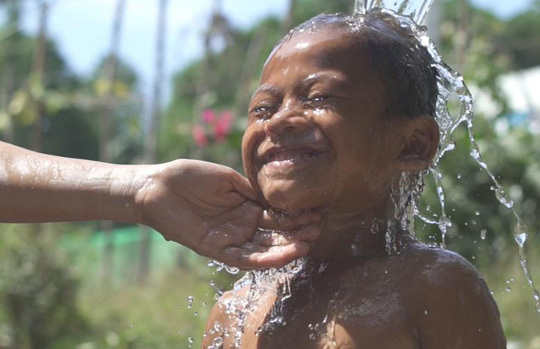 The water facility built in the Sitio is only the first step towards helping the community to achieve WASH.